Eyes-on: Netflix 4K streaming review | What Hi-Fi? We've been treated to some early glimpses of 4K footage at CES, most notably on the Sony stand. But the truth is, if you want to watch 4K on your new Ultra HD set, your list of options is pretty short. There's Sony's 4K media streamer, (not available in the UK), a few YouTube videos, your own 4K camcorder footage – and Netflix. While Netflix hasn't 100% confirmed a launch date for Netflix 4K, an announcement at CES confirmed that the company is working with LG, and that House of Cards: Season 2, will stream to compatible LG 4K TVs on February 14th. Indeed, Netflix chief product officer Neil Hunt reckons that you'll never buy 4K on a disc. "The cost and effort of building a whole new disc format and putting that together for the relatively small number of people who'll have a device in the short term isn't going to happen, and the broadcasters aren't going to deliver it in the short term. So it's going to be internet-delivered." 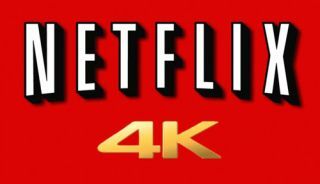 Netflix is showing off that internet-delivered service at CES 2014 – 4K Ultra HD video piped directly to your TV. It doesn't seem possible, in an age of YouTube buffering – but thanks to the H.265 codec, Netflix is able to stream 4K video at bitrates comparable to current HD streaming (it reckons you'll need a broadband speed of around 15mbps). And it really is Ultra HD video, delivered at 3840x2160 resolution. Netflix's trailer for House of Cards Season 2 – its showcase for the 4K format – looked pin-sharp; you could see everything from individual hairs to the fibres of Kevin Spacey's rather nice suit up close. A demo reel of digital 4K footage looked equally stunning, with fine gradations in desert rockfaces clearly visible even when you press your face up to the screen. Netflix has revealed that it'll soon have all of Breaking Bad – shot on 35mm film and scanned at 4K resolution – available for the lucky few with 4K TVs, too. Of course, there are one or two caveats. For one thing, even if you have a 4K TV, you won't be able to watch Netflix in 4K without an HEVC decoder. This year's models will have the technology built in, but if you were an early adopter, well, you're out of luck. "We're working with Sony, Samsung, LG, Vizio, and maybe some others that are in the pipeline," says Hunt. Set-top boxes may be available soon, though. "I've heard some of the manufacturers talking specifically about releasing the box that would be in the back of the 2014 model to 2013 users," says Hunt. There's also the possibility of the Sony PlayStation 4 getting a 4K firmware update. "The PS4 is known to be 4K ready," notes Hunt. "Sony at some point will make 4K gaming available, and at that point we'll be able to upgrade our application on the PS4." The demo we were treated to was certainly impressive, though it's worth noting that Netflix's TV and HEVC decoder were connected to the internet via an Ethernet cable. Fair enough; hotel wi-fi is flakey at the best of times, but it highlights the fact that even with H.265, bitrates for 4K streaming will be high. There's also the fact that there will be little 4K programming available at launch of the service – and that 4K TVs are still expensive. But with Polaroid and Kogan launching its sub-£1000 4K TVs, that's not a state of affairs that will persist for long – and even with just a few 4K shows available, Netflix already has a head start on its competition.